Chicago is finally warm and my new place actually feels like home - a stark contrast from my old apartment: a walk up with creaky floors, barely any furniture, no air condition and too much empty space. This place is smaller and homier and I actually have a TV and a plant! The kitchen is even tinier than the last one but has more storage and a dishwasher(!) so BIG WIN on the kitchen front. You know you’re ‘adulting’ when you are grateful for the existence of a dishwasher and get excited to buy coasters. But the best part of it all is the location. Evanston is beautiful and quaint but so quiet, almost too peaceful. I love the sounds of the city. I can hear them all the way up here on the 11th floor. I’m also pretty certain that this street has an above average number of people with dogs. 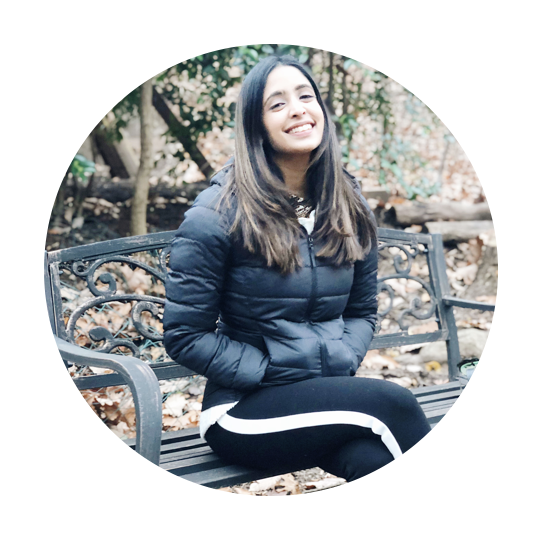 We celebrated the first week of moving in with everything that screams celebration: champagne, takeout from The Halal Guys, Sprinkles cupcakes and 7 whole days of binge watching Netflix with 4 pints of ice cream laid out in front of us. 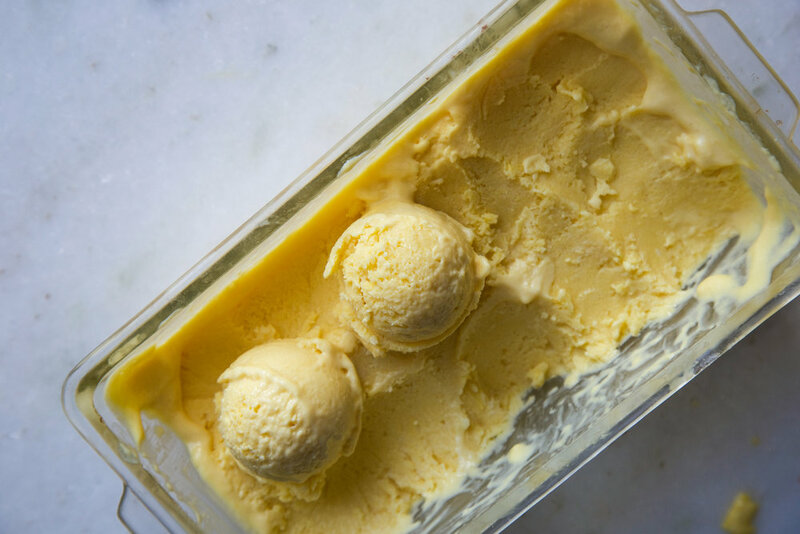 Ice cream is one of those things that can be as luxurious or as easygoing as you want to make it. It’s fuss free in that you only need a pint and a spoon and nothing else, except maybe a friend to share the guilt with or a movie on. It can also be an expression of artistic plating and creativity of flavors (I once had olive oil quenelle with a pistachio honeycomb brittle and chocolate dust - my mind was blown). In all its forms, ice cream is worthy of the glory. Take the flesh of 2 large, ripe mangoes and puree it. Pass it through a mesh strainer to get rid of the fibrous bits. Pour 1 can condensed milk into a large bowl and mix in the pureed mango and set aside. Create an ice bath in a tray. You can do this just by putting lots and lots of ice in the tray. Place a large mixing bowl in the ice bath. Pour 220 ml heavy cream into the bowl and whip to stiff peaks using an electric whisk. Fold the whipped cream into the mango-condensed milk mixture using a spatula. Pour the mixture in a dish and wrap in cling wrap. Set in the freezer for about 8 hours or overnight. For the crepes, I used this recipe. 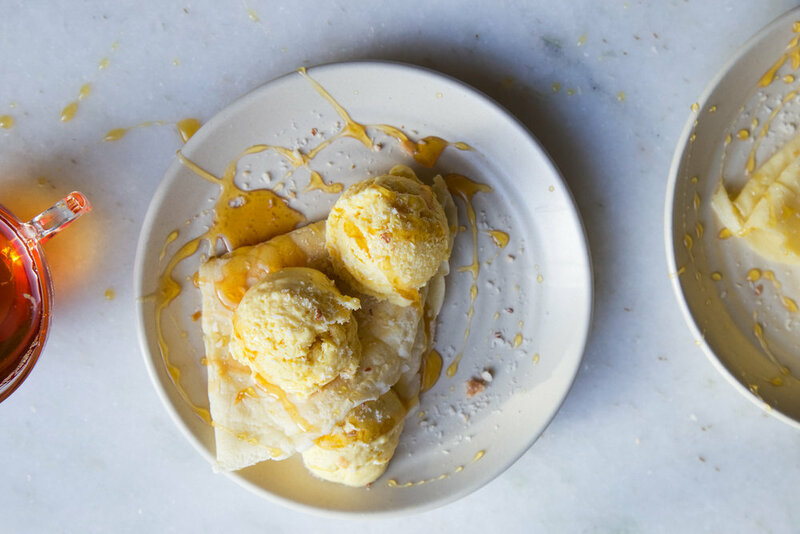 Serve ice cream with crepes, and drizzle with lime caramel and toasted coconut flakes. Summer in delhi feels like one of two things: Either you’re baking inside an oven or melting in the humidity. There are also exactly only 2 good things about summer. Vacations. Lucky for me, I got to get out of hot , hot delhi and spend a week in Simla and then Thailand. New things I’ve eaten this month: Mango sticky rice, Rambutan, eggplant gyozas and (drumroll) a tiramisu magnum bar. You might have seen lots of this on instagram, in addition to pictures of me drinking beer (a rarity!!) and kicking sand around on the beach while also risking getting stung by jellyfish. Coming back home to delhi would’ve been a huge downer if it wasn’t for Ben overreacting to my homecoming. Close second to seeing ben is the only other great part about summer in Delhi - the ripe juicy summer stone fruit. My fridge is stocked with the juiciest alphonso mangoes, himalayan cherries, peaches, apricots, litchis and watermelon. p o s s i b i l i t i e s.
Here is a summer dessert wishlist of sorts: Vanilla ice cream with frozen litchis. Mango Ice cream. Cherry muffins. Watermelon popsicles. Apricot jam. Cherry pie. Peaches and cream. Last year, I made a peach cobbler for Better Home and Gardens Magazine (july 2016 print issue). Delicious, fuzzy, juicy peaches, baked with a crumble on top and eaten warm with ice cream of choice of course (I’d recommend ginger Ice cream)! Here is the recipe, guys! Place the sliced peaches in a saucepan over low-medium heat. Add the lemon juice, sugar, cointreau and vanilla extract. Stir constantly and cook until the peaches are soft. In a large mixing bowl, combine butter and sugar. Stir well. Mix in the flour, baking power and almond meal and combine with a spoon, until a sticky dough is formed. slowly add in the milk and mix until fully combined. Drop spoonfuls of the batter on top of the peaches in the baking dish. Continue until the peaches are covered with the batter. Don’t worry if there are any gaps. Bake for about 30 minutes until the top is golden brown. 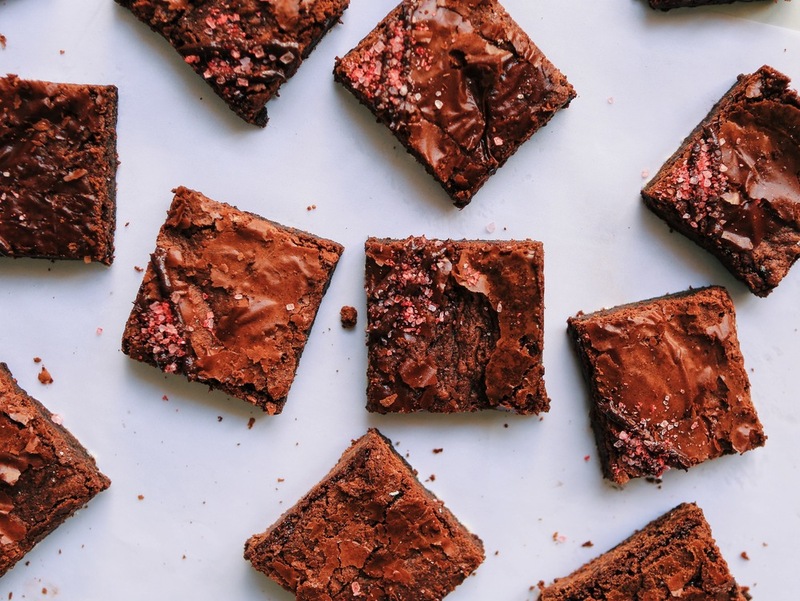 Is there anything more universal than chocolate brownies? 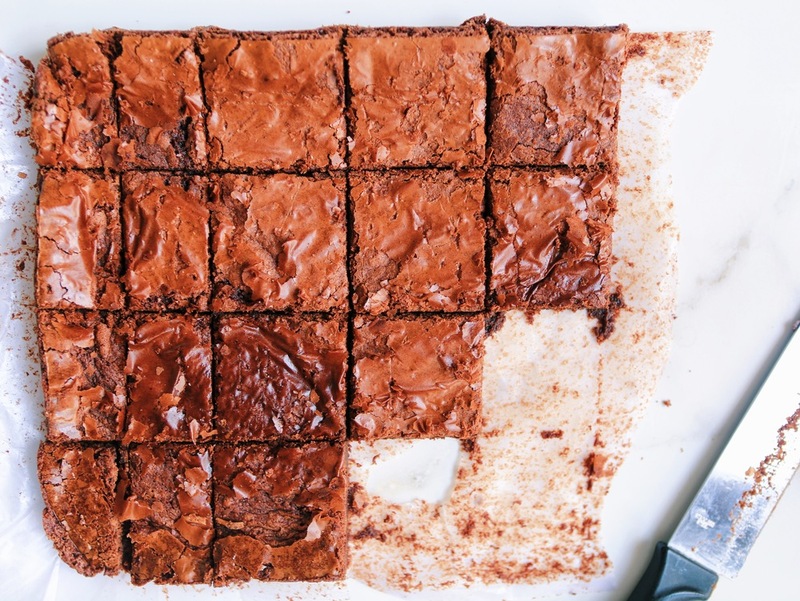 Is there a person in the world who doesn’t love the crackly, slightly crunchy crust, chewy edges and squidgy, chocolaty, almost molten centre that makes even just one bite overwhelming. Which is a good thing. 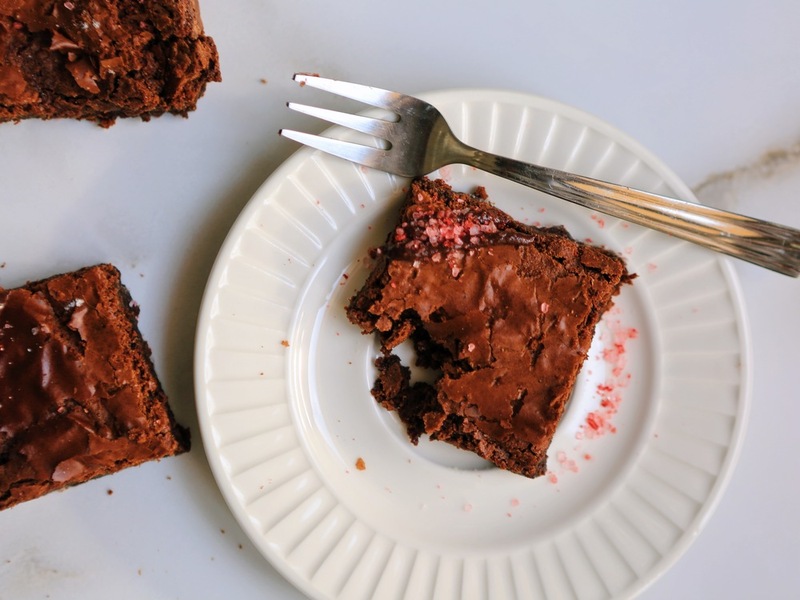 Brownies are supposed to be intense, rich and overpowering. 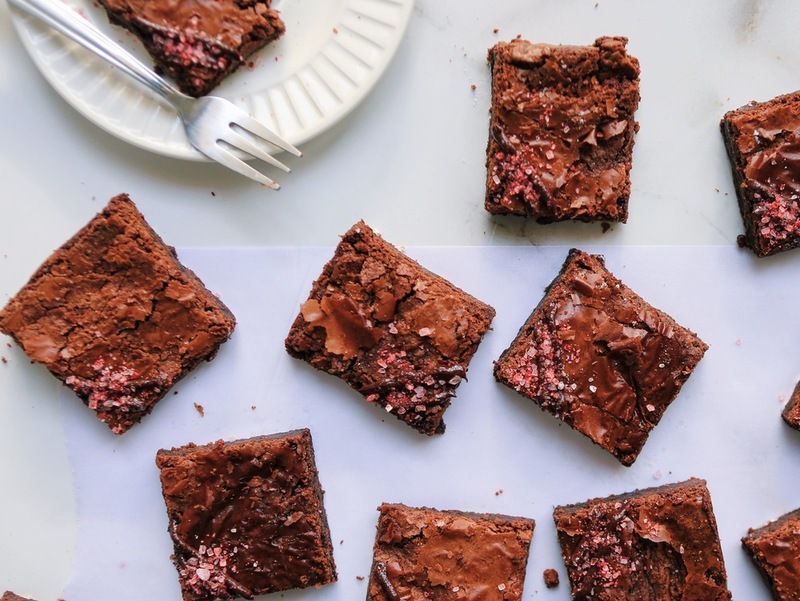 There’s nothing subtle about them, and decadence is the trademark of a brownie. 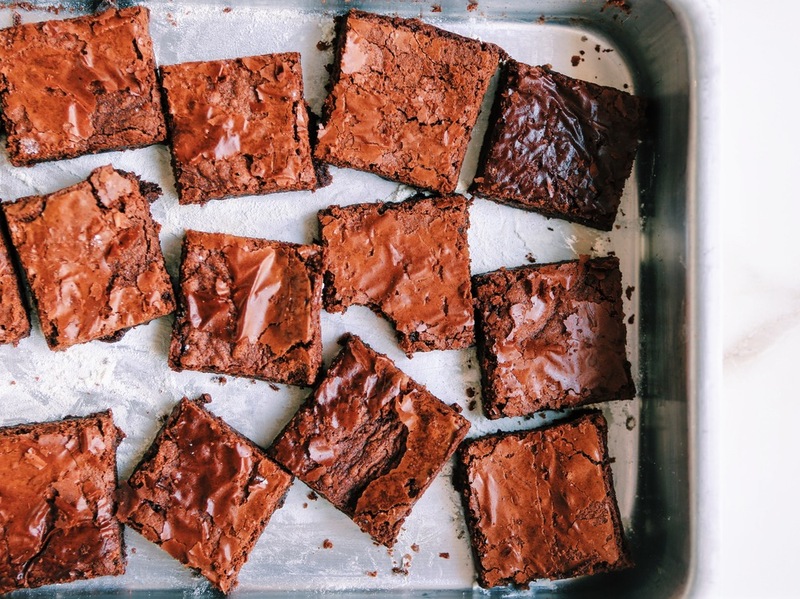 Not to mention, brownies come with a side of nostalgia - who hasn’t tried making brownies as a child and almost burnt down the house? (that would be me..). So last weekend, in a spontaneous brownie baking moment, I decided to add one of my favourite ingredients to my brownie batter - peppermint! I love peppermint and dark chocolate together - it is a refreshing variation to a popular classic. PLUS - the best part is, you can use leftover brownie crumbs/chunks to make peppermint brownie vanilla ice cream - summer bonus, and a very appropriate dessert for this weather. In a saucepan over medium heat, melt the butter and chocolate together until smoothly combined. Let cool. cream the eggs, sugar and vanilla in a bowl. Add the cooled chocolate and butter mixture and add peppermint extract & combine well. Add the flour mix one spoon at a time and mix well, but do not overmix. Pour the batter into the pan and bake for about 30 - 35 minutes or until the top forms a flaky/crusty layer. The centre should not be wobbly. When done, take it out of the oven and let the brownies cool for about a half hour. 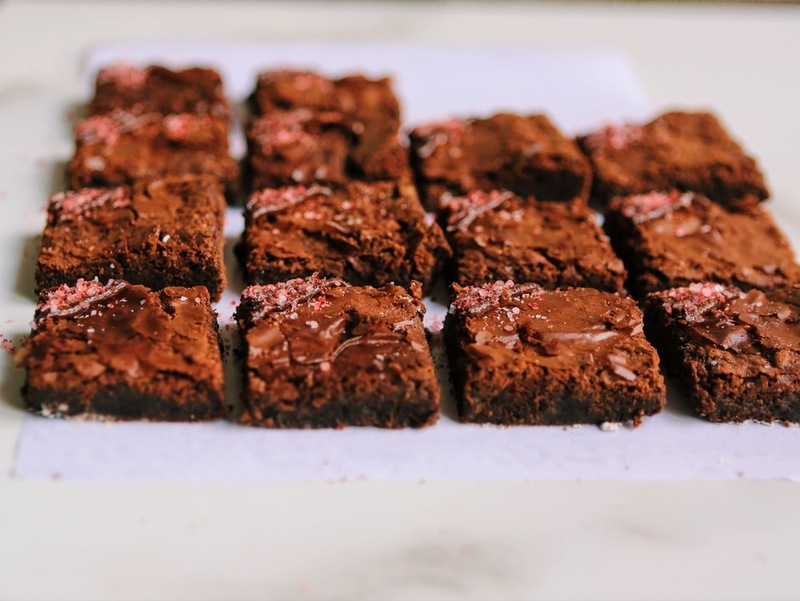 Slice into squares, sprinkle with crushed peppermint and eat!